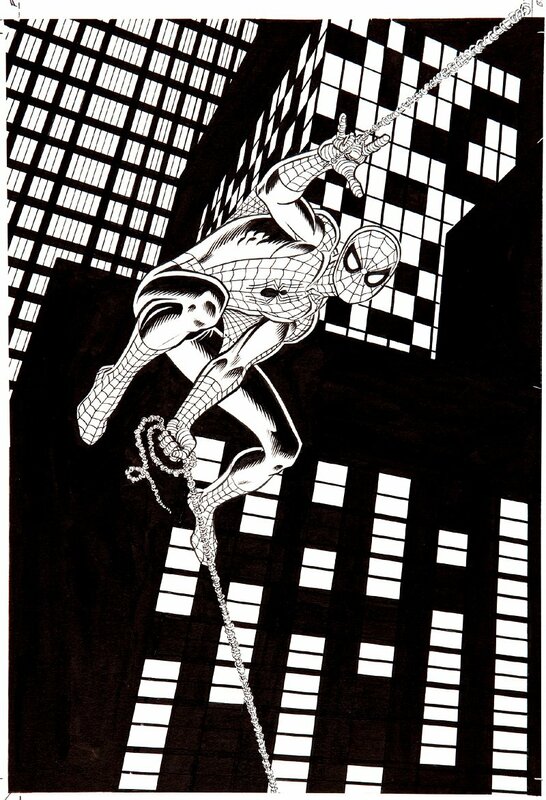 Romitaman Original Comic Book Art :: Private Collection :: TV Guide Spider-Man Original Cover Art SOLD SOLD SOLD! 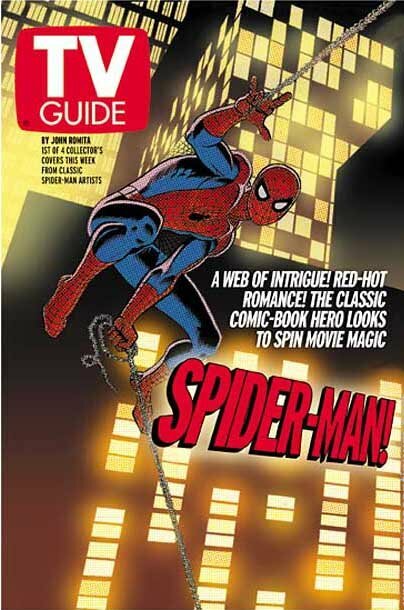 by artist John Romita Sr.
Click Here To See The Spider-Man TV Guide! Check out this AMAZING John Romita Sr. penciled and inked TV Guide artwork which was used during the week of April 27 - May 3 2002 to promote the Spider-Man #1 MOVIE! "A web of intrigue. Red hot romance. The classic comic book hero looks to spin movie magic." The tinsel town spotlight is on everyone's favorite web-slinger on this bold illustration drawn for TV Guide. John Romita Sr. remains one of the legends of Marvel comics and this piece is sure to make a prized showpiece for any True Believer. This Marvel milestone has an image area of 10.5" x 15", on an 11.5 by 17.5 inch art board! Don't pass it up if you can help it! Compare this nice cover art to the published comic book in the red link above, COOL!